"I can't conceive of anything being more varied and rich and handsome than the planet Earth. And its crowning beauty is the natural world. I want to soak it up, to understand it as well as I can, and to absorb it... and then I'd like to put it together and express it in my painting. This is the way I want to dedicate my life." 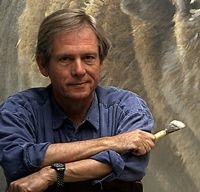 View originals by Robert Bateman here.